← Oh, please! Not another “Dear Tim” letter! 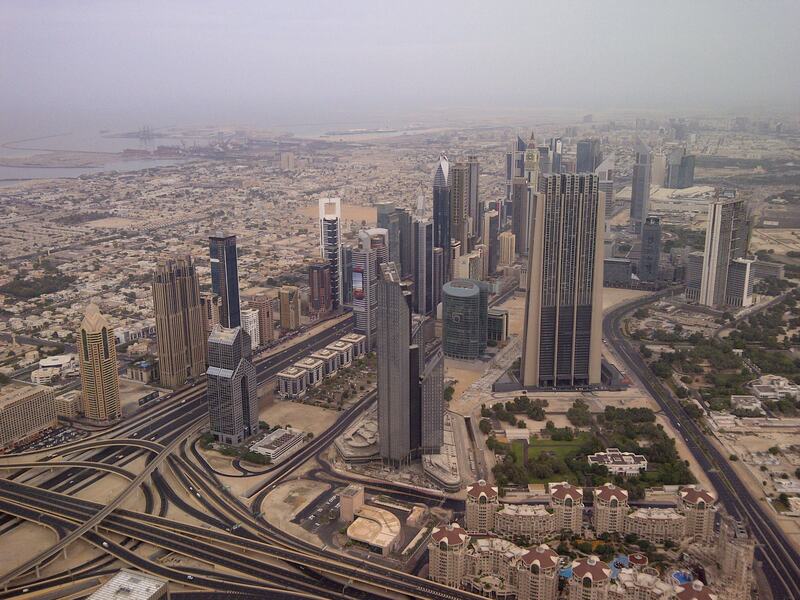 I recently travelled to Dubai and Qatar on a business trip and being the inveterate traveler I am it would have been a shame not to have made the most of what was supposed to be a working trip, which I did, Dubai and Qatar being places you hear a lot about, must see for yourself but rarely get to go to. So, OK, a lot of people do go there, even if it isn’t really your idea of a favourite travel destination and after all what is there to see there? Amazing buildings surrounded by sand and sea? Heat? Air-conditioned shopping malls? Pharaonic projects? Reasonably priced, tax-free, luxury goods? Hi Tech facilities? Traces of a re-surging local culture almost lost in a frenetic race for 21st century modernism? Smartphone in one hand and my wife’s pocket digital camera in the other I duly set about one of my favourite activities, taking photos of my surroundings. Now I know neither are the best for top quality photos but then again that wasn’t what I was after, my predilection being for capturing on the spur moments which I did. As I said Dubai, and the region, is renowned for the heat, even in November temperatures can reach a comfortable 30 degrees Celsius, so I was amazed and slighted “Jazzed” that it rained on the Friday I was there (Friday being the local’s Sunday and my day off)… come to think of it so were the local’s. When I say it rained I don’t mean a gentle drizzle drifting in from the sea, I mean a genuine cloud burst, the heavens are opening, call me Sandy rain storm, something the likes of which the region only sees once every fifty or so years! So what did I do and what did I see that merited taking photos of? I suppose if you go there regularly you give up taking photos but for first timers, like me, without a doubt Dubai’s must see attraction, the Burj Khalifa tower and symbiotic shopping mall, the Dubai Mall should be at the top of any visitor’s list. Limited in time and after accomplishing what I went to Dubai for, as soon as the first occasion presented itself, i.e. 08.30AM the Friday morning, I found myself riding up the star leap elevator (the fastest in the world) to the 124th floor and the observation platform to where, had it not been for the rain, I would have been able to admire, albeit from a distance, the map of the world island taking shape out in the bay or the Palm shape island nestling behind sail shaped Burj Al Arab hotel further south along the coastline and the Jebel Ali area. And how it rained! To think I had skipped breakfast to make sure I got there on time to enjoy an early morning view of the city from 800 metres altitude! But visibility was still good enough, though, to see the surroundings, even if everything looked sandy grey. I had been advised that 30 minutes would be enough to go round, take the default photos enjoy the view and ride back down the elevator. Not being one to conform, sheep like, to other people’s a-prioris, I actually did the tour in 30 minutes but then took another 30 minutes to absorb the surroundings, realizing in the process that even if I had gone there on the only day in the century it rained I would have regretted coming all that way and not going up. Once back down to earth my stomach reminded me I hadn’t eaten since dinner the night before so after a tall, no shot, café- latte and a toasted breakfast sandwich I headed off for the 02nd part of the morning’s expedition, a tour round the Dubai Mall, one of the world’s largest mall in shopping surface area. Now it seems the Dubai Mall is also known as the home of the Dubai shopping festival and having seen it firsthand I confirm that! But what did surprise me was that I starting noticing the shopping bags people were carrying… Boots, Marks & Spencer, Debenhams, Dorothy Perkins, Miss Selfridge, even Waitrose! Sure, there are lots of others and had I come from the States or elsewhere I would have noticed Bloomingdales & Co but I was impressed, I mean I live some 600 miles south of the English Channel and would kill for a “Boots” or a “Marks & Sparks” in the town where I live. 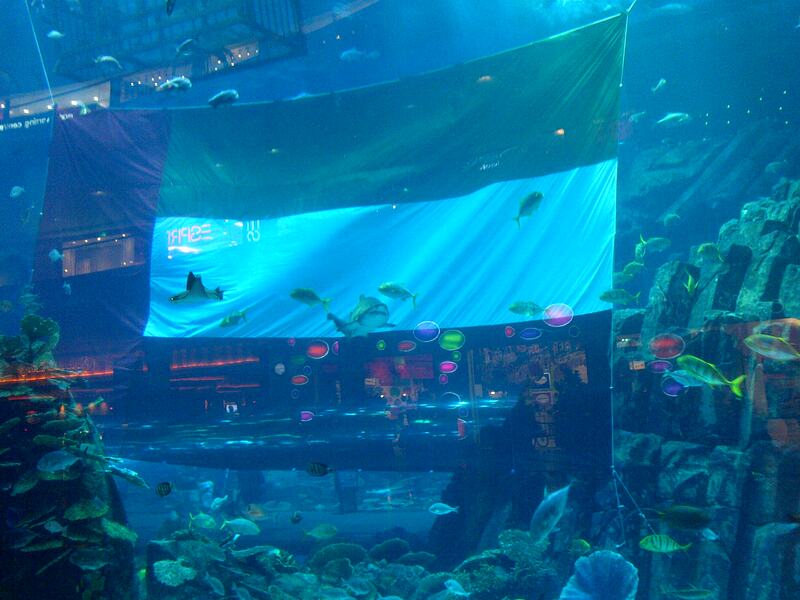 This, I was told, was what helps make the Dubai Mall what it is. There are a lot of colonies living in the Emirates, the British, The French, the Germans etc and all appreciate these little details that make Dubai a home away from home that the Ex-Pats* there appreciate so much. *I won’t go down the “Ex-Pat” road here and now except to say that living 35 years in a country of temporary adaptation I have never considered myself an “Ex-Pat”… enough said. The morning wore on and I realized I was going round in circles, feet were tiring and I was thirsty, a 02nd tall café- latte was needed after which it was time to make a beeline for the Mall’s amazing aquarium, which, fortunately for me, provided some distraction after 2 hours of window shopping, I’m used to window shopping in small doses but this was verging on gluttony. Also the olfactory senses where starting to seriously overload, someone recently talked about “Tacky malls” well let me tell you this was more like walking around in a gigantic bottle of perfume. I needed fresh air and looking for the nearest exit I started feeling claustrophobic and the sensation of walking aimlessly round in circles* reminded a Doctor Who episode from 2007 called “Gridlock”. In that particular episode the inhabitants of a future New York spent all their lives driving round an underground highway system, called the “Motorway” with never a hope of getting out (until the Doctor comes along)… that was how I was starting to feel until I found the exit. * During the hot summer periods the air-conditioned malls are crowded from morning to night with people escaping from the heat outside, what else is there to do and why not stay inside? The Mall has everything, restrooms, restaurants, food shops, clinics, hotels, cinemas, even an ice rink! But I finally made it out of the Mall, via a parking entrance, and broke air only to dive back in again, half an hour later, for the 03rd and final part of the morning, meeting up with locally installed family, but not without having taken some photos, the first close-up shots of the Burj Khalifa, from the pavement beneath it! 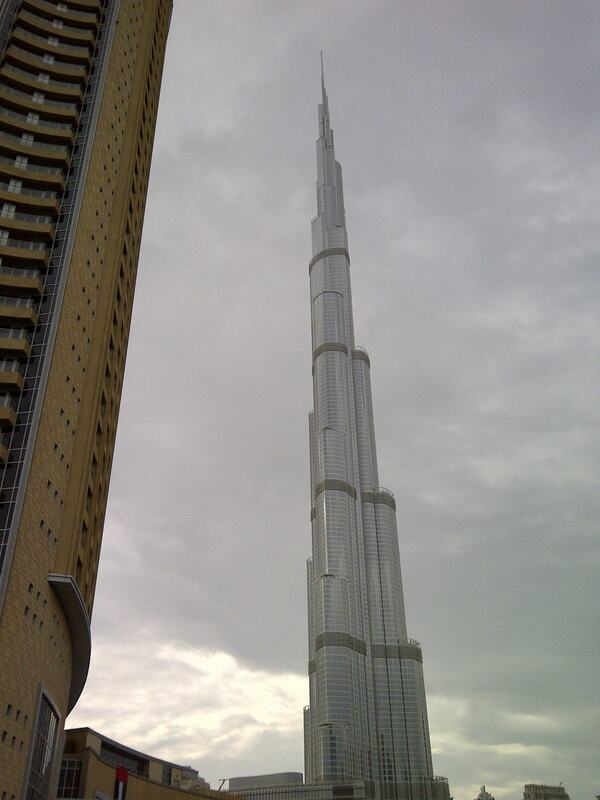 This entry was posted in Voyages and tagged Burj Khalifa, Doctor Who, Dubai Mall, Jebel Ali. Bookmark the permalink.